The AMAOKC’s Marketer of Oklahoma Award is meant to celebrate the role that Oklahoma marketers play in building brilliant businesses, setting the course of our industry and inspiring others. We seek to identify the person in a senior position who has made the most impact on their company, our industry and the reputation of marketing among consumers. This award is open to any marketer in a senior position such as CMO or Directors, who has worked in the profession for at least 10 years and is currently a marketing practitioner. Nominees can come from any marketing discipline, be it research, academic, agency, commercial, journalists, digital and so on. AMA OKC Board members should not be nominated. Nominations can be received in two ways. Any member of the Oklahoma City or surrounding area marketing community can nominate an inspiring Oklahoma leader. Do this by this by clicking on the ‘Nominate Now’ button on this page. Anyone may nominate a marketer. 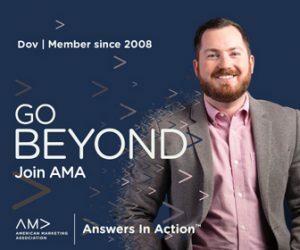 You do not have to be an AMA member. A fully completed nominations form describing the outstanding contributions the nominee has made to marketing as outlined below. Innovations in developing other marketers: Both current and the next generation of marketers through education, inspiration, and specialist programs. Developing new marketing tools and approaches. Nominations are currently open and close on April 17th.